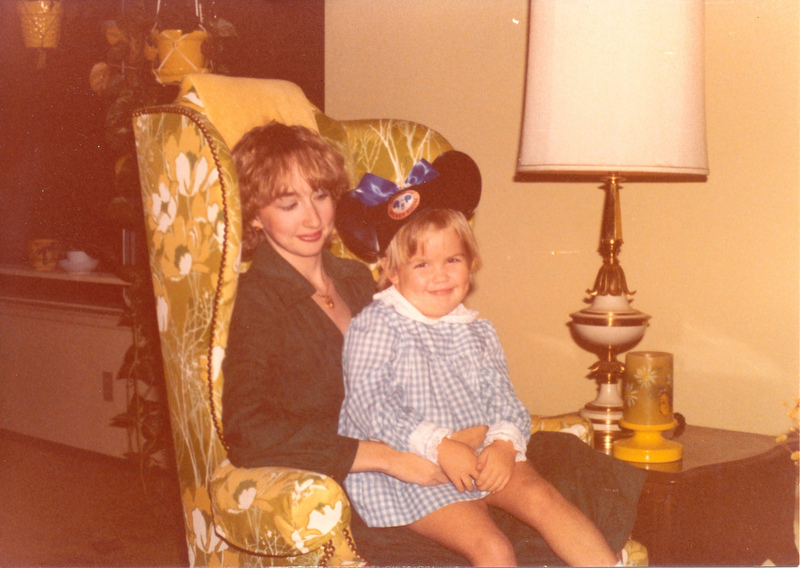 My mom and I have had a very close relationship for my whole life, and I know how lucky I am in this. She and I have been good friends for as long as I can remember. My Mom is one of the sweetest ladies on this earth (besides her mother). Don’t get me wrong, she can be salty and curse if the need warrants. But to me she is soft, loving, and a super cuddler. 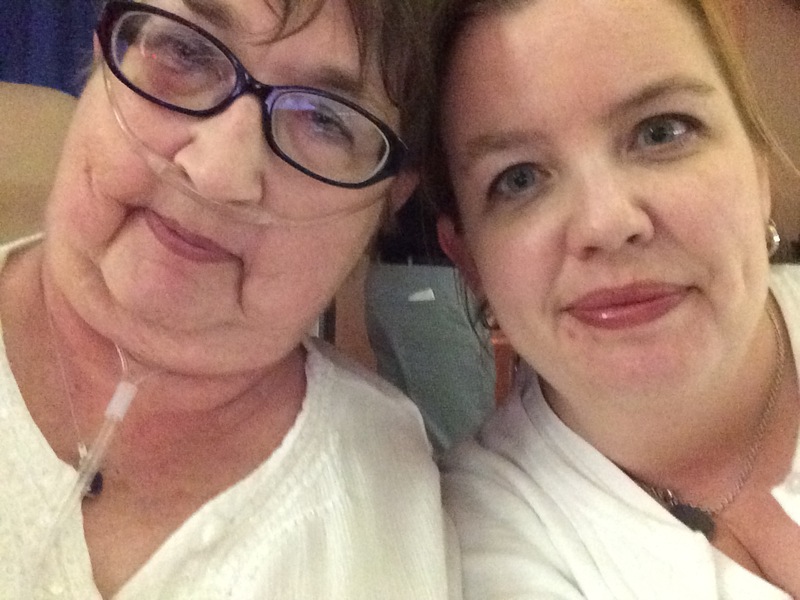 Mom has had some health problems in the past few years that has left her unable to drive, walk very far, and otherwise do a lot of stuff she used to do herself. But she keeps on going, a tough woman for sure–especially after all she’s had to endure. When I was young (still in a car seat) Mom took me everywhere with her–shopping, to see my cousins, and to preschool. And all the time I was strapped into that car seat I was listening to the tapes she played of her favorite music. 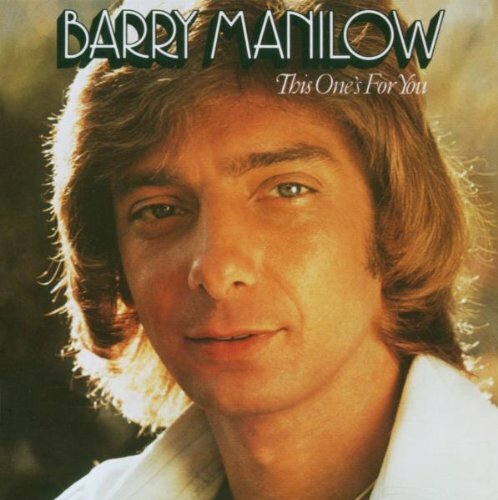 This was the late 70s folks, and that includes Billy Joel, Rita Coolidge, Crystal Gayle, and her all-time favorite: Barry Manilow. As a teenager I got into heavy metal and hard rock and shunned and teased my mother for her musical tastes. (What can I say? Sometimes teenagers can be assholes.) As I grew up I didn’t bug her about it so much but I never saw the attraction. Fast forward to this Christmas this year. I heard Barry was coming to town on his final tour. The man is 72 after all. And as easy it would have been to buy my mom “stuff” for Christmas, I think you can imagine where this is headed. I opted to give my mom the experience of one final Barry Manilow concert. With me. She was rendered speechless when she opened her gift. Not that my mother is a constant talker (I’m married to that) but it was wonderful to see her so excited. 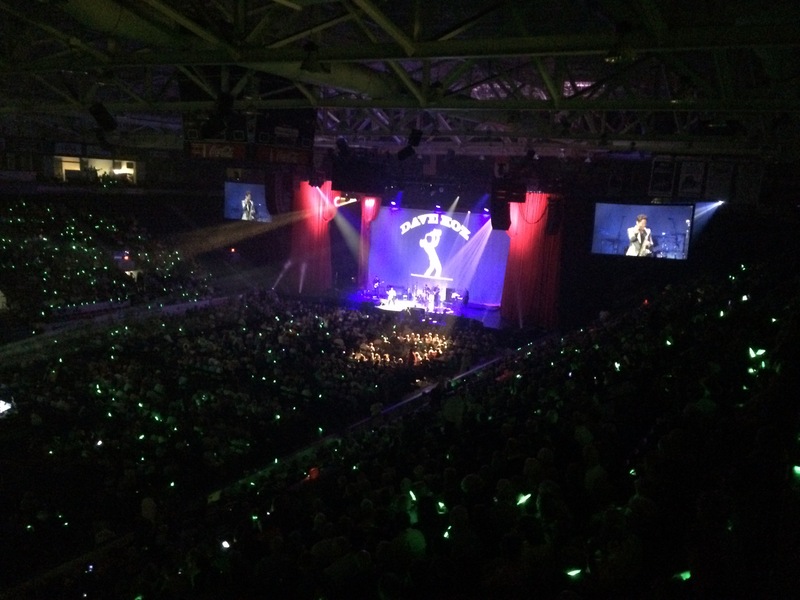 The concert was this last Monday, February 1 at the Germain Arena in Estero. 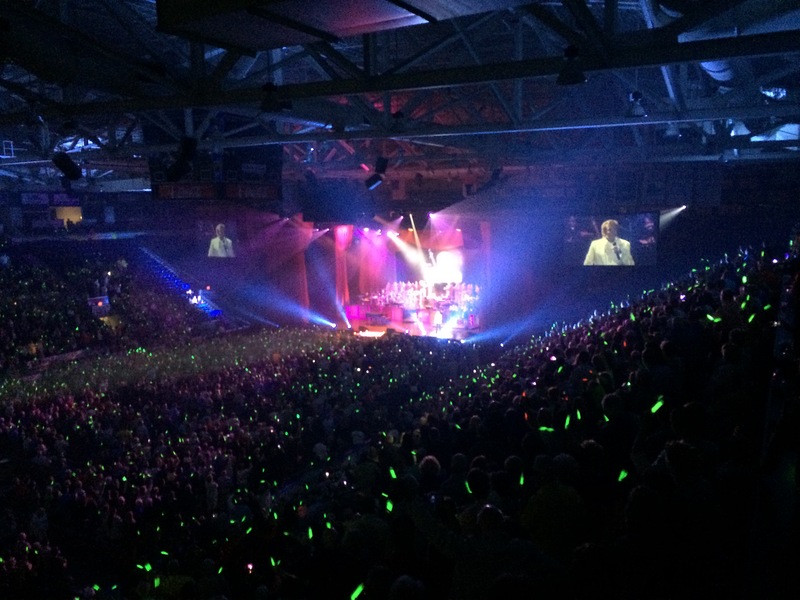 And if you think Barry Manilow isn’t popular, think again. They actually added a second show this Saturday to accommodate the call for tickets in the Southwest Florida area. The traffic was a nightmare getting in. I certainly hadn’t anticipated the amount of cars once we got off the freeway. Usually it would take five minutes to get to Germain Arena but it took us nearly forty minutes that night. And there was no handicapped parking left, so I had to park out in the sticks. Mom can’t walk very far so we used her wheelchair, thank goodness. It was a hike into the venue. Our seats were great. We were up on the top right next to the box suites and had a terrific view of the stage. As we came in the opening act, Dave Koz was wailing on his saxophone. Playing “Let it Go,” I might add. Waiting for the main event! All right, so let me be the first to admit it. 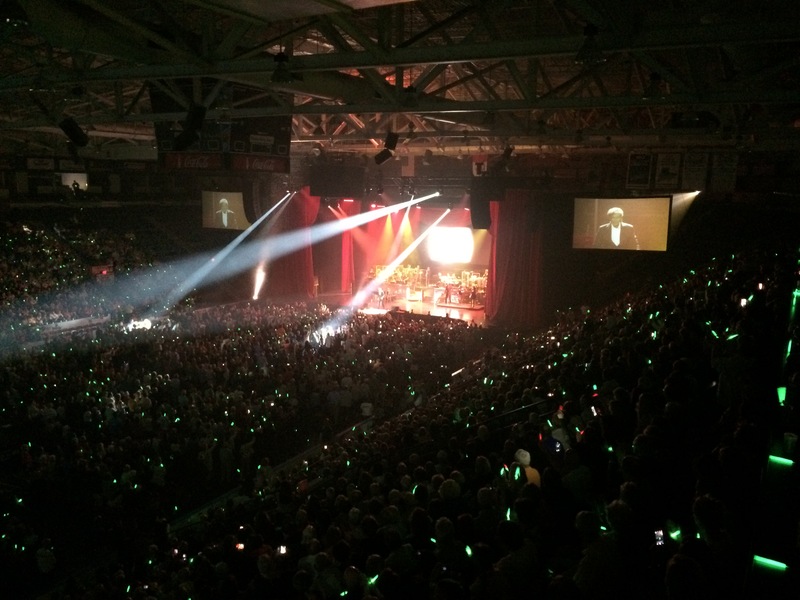 Barry Manilow puts on a pretty good show. I can’t believe the pipes on this guy, and his energy levels. It’s a miracle… A true blue spectacle. Have you ever heard that your brain stores the memories of all the moments of your entire life? It’s your recall that isn’t quite as developed. Well let me tell you that all of those songs I was forced to listen to at a tender age came back to me. I was astonished to realize I knew almost all the words to all the songs. There were only a couple I didn’t know. 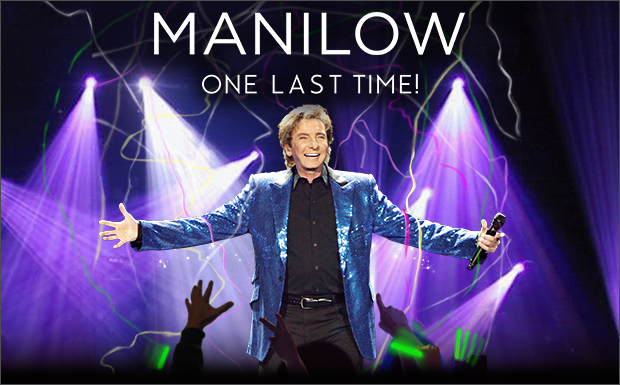 I think the most amazing thing about Barry Manilow is his enthusiasm. He really REALLY loves performing and it shines through in each moment. And seeing Mom so happy made it very easy to sit through the concert and even (gasp!) enjoy it. I’m not a convert, sorry. My musical tastes have not changed. But I can say that I can appreciate why so many people love this guy. He may write the songs that make the whole world sing, corny as some may think they are, but his appeal lies in his positivity, his love of what he does, and his lovely voice. When my husband reads this he’ll think I’ve gone over to the dark side. But he didn’t get to see the look on my mom’s face when she clasped her hands and sang along to “Weekend in New England.” Sometimes we do things we don’t necessarily like to do for the ones we love. I surprised myself. I had a good time. My mom did tell me that the concert tickets were the best Christmas present she’d ever received. I think that’s a win for all of us. As far as I know, she’s still basking in the Maniglow.